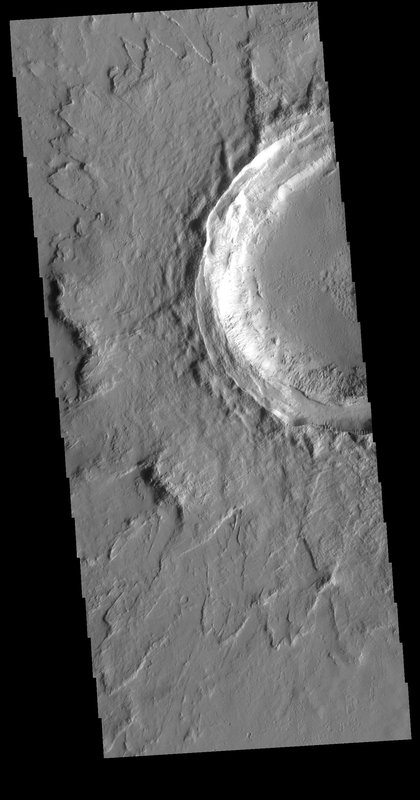 This VIS image shows an unnamed crater located northeast of Ascraeus Mons, on the volcanic plains of the Tharsis region. The rim has several concentric ridges. There are multiple layers of ejecta, with raised edges. The ejecta sits on top of the regional lava flows, indicating it formed after the lava flows covered the area. The lack of significant modification of both rim and ejecta show that this crater is relatively young.